Photo by Autumn Walter |CIGAR| Baseball season starts up again with win on Tuesday and a scheduled five games next week. 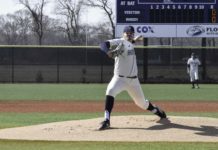 After 18 games on the road, the University of Rhode Island’s baseball team recorded a 5-2 win over Sacred Heart in its home opener on Tuesday afternoon. 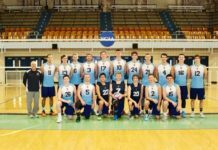 While most students were partying on spring break or burning brackets, the URI baseball team was on the road playing against Stetson University, and the University of Florida, the No. 1 ranked team in the country at the time. They also played a neutral game against Army West Point. Overall the Rams started their season 4-14, but the record doesn’t tell the whole story. They lost 3-2 last Saturday in extra innings at Stetson, and Florida walked off on them 3-2. Seattle walked-off on them, as well as Texas A&M earlier in the season. The Rams were able to put one in the win column Tuesday in their home opener as they rode timely hitting and good team pitching to a three-run victory over Sacred Heart. 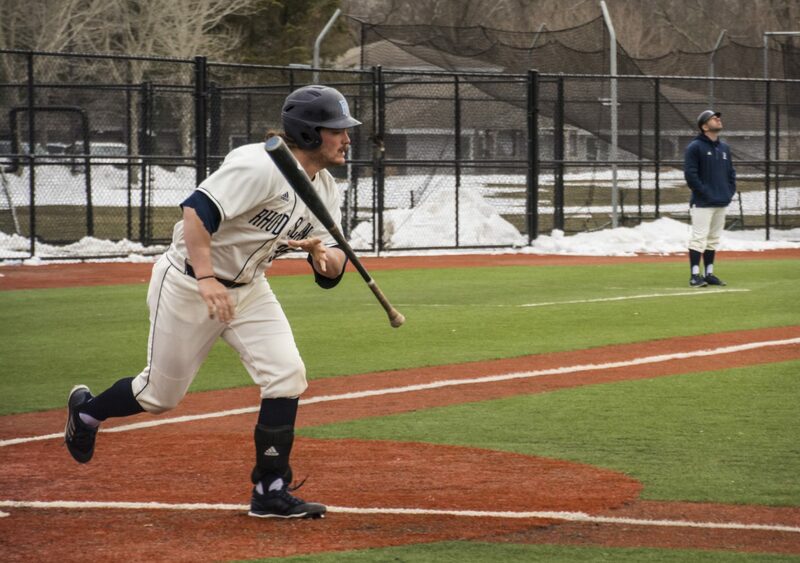 The Rams struck first in the second inning, scoring two runs off of two RBI singles by Laurence Hill and Brett McManus. The Rams scored two more in the bottom of the third, when designated hitter Jackson Coutts reached on an error and scored Greg Cavaliere. Two batters later, shortstop Kevin Heiss singled home Coutts. 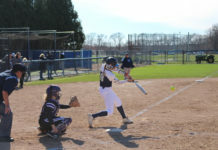 The Rams played a lot of small ball on Tuesday, as they had several sacrifice bunts as well as a few bunts for base hits, and they recorded three stolen bases. Cerrato emphasized the importance of small ball as well as pitching in the colder conditions they play in. Cam LaFleur started the game for the Rams, clocking in three innings with no earned runs as well as a career high eight strikeouts. After LaFleur, Cerrato used six other pitchers to finish the job. He said it was a plan before the game to use a lot of guys over a few innings because of the availabilities of other pitchers on the roster. Overall, the Rams recorded 12 strikeouts and Tyler Barss notched his program-leading 28 save. However tough it may be to get hits in the cold, Rhode Island got it done, pulling away with 10 hits, nine of them being singles. The offense showed signs of improvement, and Cerrato was impressed. “We’re starting to swing the bats better, and I see us starting to get there offensively,” he said. The Rams open up conference play Friday as they travel to Virginia Commonwealth University for a three-game weekend series.